Baton Rouge Gallery - center for contemporary art (“BRG”) is honored to give this program - originally presented by Culture Candy (2007 - 2015) - new life and bring it to BRG and BREC’s City Park this Fall with an eye towards the future. Since its founding, Uncommon Thread has been synonymous with innovative presentations of wearable art, working with design professionals, choreographers, dancers, make up artists, stylists, and musicians. 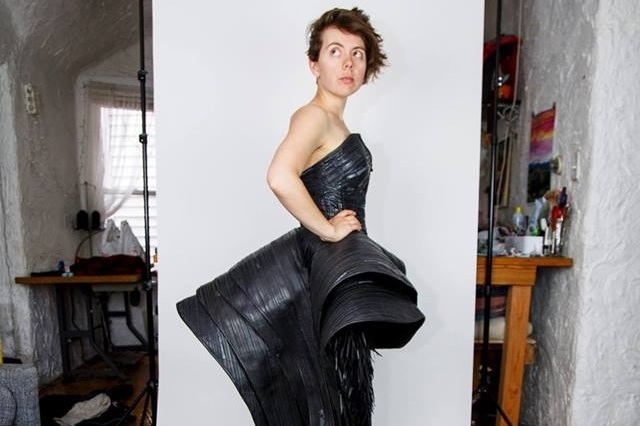 Over the years, over 200 works of wearable art from across the country have walked this unconventional runway (including those pictured above). We are currently accepting submissions from all U.S. based artists for Uncommon Thread: Essomenia, taking place at BRG on Saturday, September 21, 2019. The deadline for submissions is August 1. Artists/designers chosen as finalists will have their selected work(s) featured during the Uncommon Thread event, when one standout piece will be named Best in Show and awarded a $1,000 cash prize. Uncommon Thread has traditionally asked artists/designers to focus their work on a specific theme, typically one that plays off of the mission, character, and feel of its presentation venue. This tradition continues with this year’s competition. We invite designers and artists to make the unimaginable tangible (and wearable) while setting their sights on the world that lies ahead. Whether inspired to look 20 years down the road or 200 years into the future, Uncommon Thread wants to know what you foresee. How might technology, the environment, the political climate, interpersonal relations, or other realities change or impact other changes? What might be commonplace for our great-grandchildren that most can’t even fathom today? Can your “essomenic” design simultaneously tell us something about our collective today and our tomorrow?